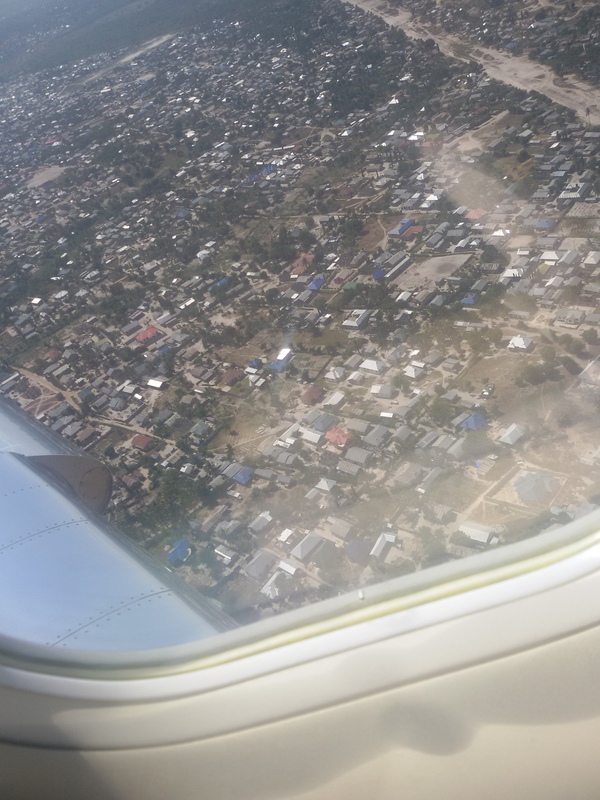 Visiting Dar es Salaam, the capital of Tanzania was one of the highlights of March 2015 for me. It wasn’t expected, as is every great thing; I wasn’t part of the team initially meant to embark on that trip but as fate would have it, I was a last minute addition and I’m grateful to have had the opportunity. Prior to this moment, I had been thinking and planning for so long to spend two weeks of my leave in Zanzibar and suddenly I had been afforded the opportunity by a mere streak of luck. I worked assiduously two day before the intended date to get my visa; I spent a couple of hours at the Tanzanian High Commission and an almost equal amount of time at the UBA Bank where I went to pay the ‘Express Visa Fees’. It was a few thousands of Naira above the usual price but I didn’t mind for a bit, especially as I would be refunded by the company. It was a five hour trip that didn’t quite feel that long. 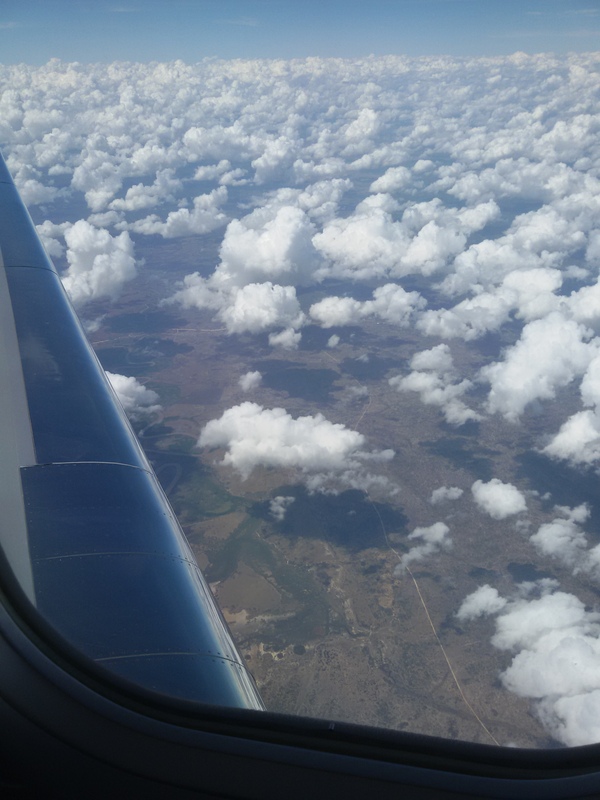 Maybe it can be attributed to the comfort the private jet afforded me; the flight attendants were absolutely pleasant too, and almost nice to a fault. 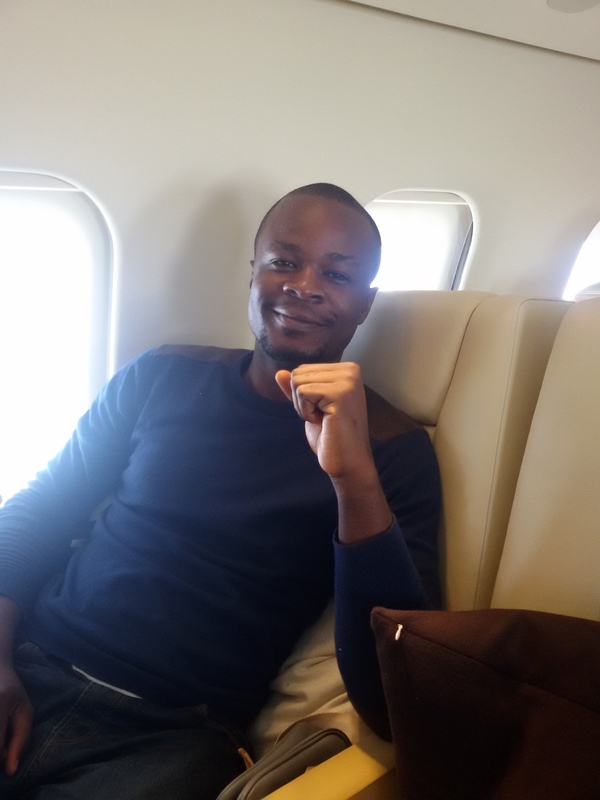 On landing, we were ushered to the VIP section of the Julius Nyerere International Airport so I didn’t quite get the chance to compare the whole airport with its counterpart in Abuja. The airport staff were quite friendly and their immigration officials meticulous; once we were done with the needful, we were ushered to the already waiting vehicles, but not before the stint with pressmen from two local Tanzanian TV stations. We already had reservations at the Hyatt Regency – the Kilimanjaro, so it didn’t take long from arrival at the hotel till we successfully checked in; it was visibly a 5 star hotel, as the facilities present and the grounds were a picturesque testament to that. On the day we were to visit the Bagamoyo Region where we would be performing the symbolic donation of 40ft container of books to 5 Secondary School, 1 Primary School and 1 University, we were chauffeur driven in a number of Toyota Prado SUVs arranged by the Hyatt Regency. The one I was in had a very jovial man driving and he didn’t hesitate in showing us places of note in Tanzania’s capital Dar es Salaam. 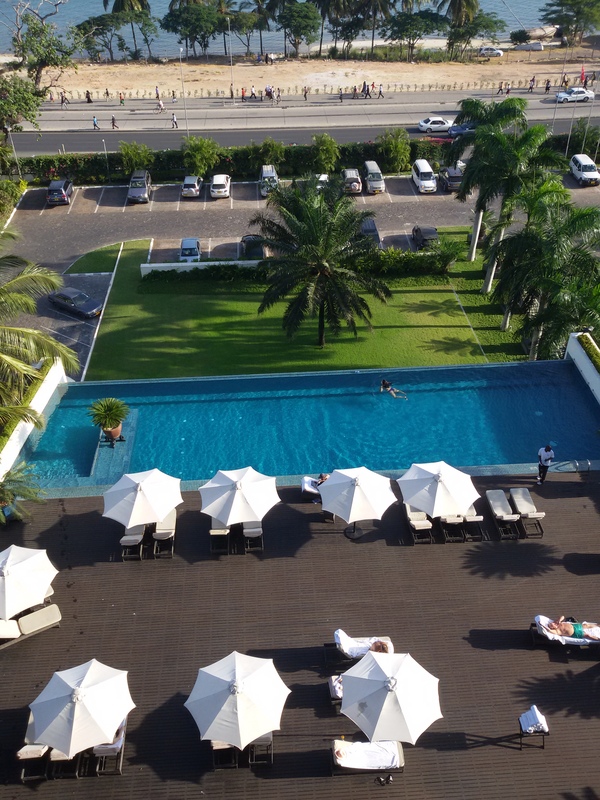 As we drove past the ‘Masaaki’, he pointed out that it was the affluent part of Dar es Salaam where you could see the most beautifully built private residences, really tall condominiums and tourists moving about freely; the Protea Hotel Oyster Bay was one of such edifices that caught my attention. In response to our curiosity about business opportunities in Tanzania, he mentioned that one of the most lucrative businesses to venture into was to set up a bottled water company; apparently, Tz had issues with their natural water and as such it had to be taken through a series of rigorous filtration and water treatment processes. Also it turns out that agriculture also has a lot of potentials too; the richest man in the country was a big agriculturist, supplying food from the villages where they have ample land to cultivate, to the city. The exchange rate stood at 1840 shillings to $1, so I wasn’t exactly scared to get anything I wanted. In comparison to the Naira, we just had to take off one zero from the price in shillings; paying 5000 shillings for a taxi ride from my hotel to somewhere downtown, translated to N500. Not bad at all. Unlike in Nigeria, I noticed that some of their private security guards carried guns; apparently they are licensed to. I noticed this while I was passing through an area where they had a chain of Bureau de Changes. 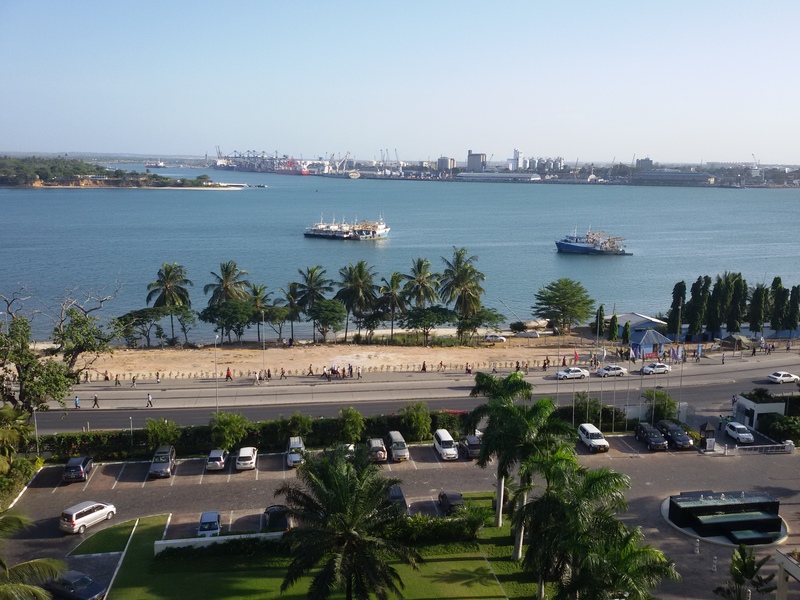 Some international brands like the Kentucky Fried Chicken (KFC) which is a stone throw from the United States Embassy, Dstv of South Africa, Hyatt Group, Best Western Hotels, Standard Chartered Bank, Goodyear tyre company, were not absent in this rather blossoming city of Dar Es Salaam. I almost had the wrong impression of the city and people by just strolling from my hotel to the fish market nearby and back. Why? All I got to see were fishermen and labourers returning from work but when I got a chance to go into town proper, I got to see a whole different picture. My first point of call was ‘Akemi’ Tanzania’s Revolving Restaurant on the 21st floor of the Golden Jubilee Towers, where I got to see really pretty girls and well-groomed men working in corporate firms like Deloitte amongst others. I got to visit the Saamaki Saamaki, a restaurant and bar with a rather impressive African theme offering culinary tourist attraction seeing as they are a coastal city; the tables were modelled after canoes and the whole place exuded this retro African feel to it. Their own version of an English pub and a lounge obtainable here in Nigeria is the ‘News Café’ and I was visibly impressed; having the maasai tribesmen, in their signature sticks and knives guarding and coordinating parking of cars was the icing on my cake. Recounting details of my visit wouldn’t be complete without mentioning Mr. Adebowale Atobatele, a very pleasant Nigerian whom we met at the roof top bar of the Hyatt Regency. Once we identified ourselves as fellow Nigerians, he was more than happy to show us around, and contributed a whole lot to the view of Tanzania I got to see. He is the General Manager at Dun and Bradstreet Credit Bureau Tanzania Limited, and he has been living in the capital for a little over two years. Obviously a man of eclectic tastes and interests, we got to talk about a number of issues ranging from viable investment opportunities in Tz, to politics and the way forward for Nigeria, and even to more trivial matters; it was my pleasure getting to meet him, to say the least and I’m sure my colleague would attest to same. I also got to meet a very brilliant lawyer who changed my view about East Africa as a whole; it became clear that even though we counted ourselves as giants of Africa, these other countries had a lot to offer. She was well versed in matters pertaining to Nigeria and world economic issues and right there and then I made a mental note to step up my game. Her best channel is CNN, and this she says stems from the need to always be kept abreast with happenings around the world; things like the English Premier League also interested her and she was an ardent supporter of the Manchester United Football Club. I have a list of places for my next trip to Tz; The Serengeti is one. I would like the chance to visit the natural habitat for animals where I hear they sometimes cross through three countries to come to, starting from Namibia but eventually migrate back later. Zanzibar tops my ‘Must Visit’ list, for anyone who has ever googled the island and seen wonderful photos of cottages on clear blue water would readily appreciate my bias on this. Places like Arusha, located below the Mount Meru with their wonderful temperate climate are also on my ‘Must Visit’ list. I also hear they have the International Court where they try people for war crimes, just like the Hague, but the details is something I would like to find out personally and not with the aid of google; Arusha is also the de facto capital of the East African Community.